YEN CHING is the original name of the city of Peking (Beijing). The name is derived from Yen mountain , which stands in the North-East section of the He Bei Province, in which the city is located. 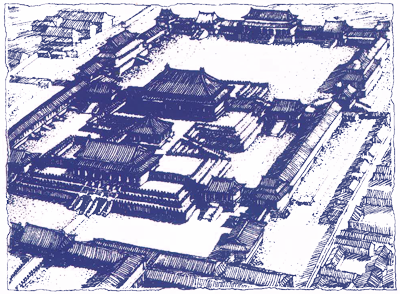 In approximately 9447 AD, Yen Ching was renamed Peking and declared the capital. From 1125 to 1267 AD, China was in turmoil and under different emperors, and the capital was moved many times to several different locations. In 1267 AD, Kublai Khan, redesigned Peking as the capital and it remained so until 1368 AD. The Ming Dynasty declared Nanking (Nanjing) The capital, in 1368 AD, but in 1420 AD decided to again make Peking the capital. Peking remained the capital city until January 1, 1912, when The Republic of China was founded and the capital was moved back to Nanking once again. Nanking remained the capital until October 1, 1949, when The Peoples Republic of China was proclaimed, with Peking, now Beijing ,again the capital.